Researchers have discovered that a horse’s behavior can be affected by its eyesight. Sight problems can cause difficulties with training and can even cause a horse to spook as well as have other unwanted behaviors. 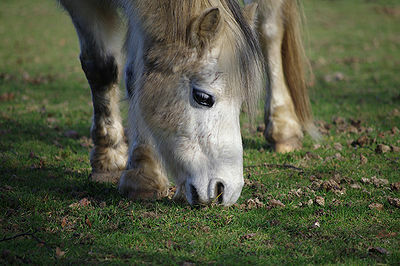 Cataracts can occur at any age in horses. The lens of the eye becomes clouded and appears milky-white, causing sensitivity to light and eventual blindness. A horse can lose depth perception and will not be able to see clearly. Sometimes objects that the horse would normally ignore become threatening causing the horse to bolt. Cataracts can be removed surgically, but unlike with humans, it can be a complicated procedure requiring anesthesia. There are new methods that are being used. As with all surgeries there are risks. 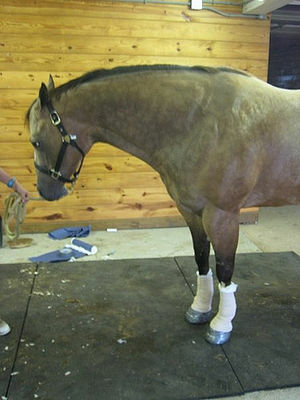 Post-operative care is challenging due to the horse’s sensitivity to the area. 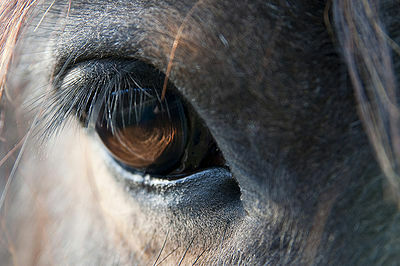 New research has shown that the majority of horses regain sight after cataract removal. With modern surgical advances, the veterinarian can place a temporary catheter with medications so the area doesn’t have to be touched. The surgery does not give perfect eyesight but researchers at North Carolina State University are experimenting with near or far-sighted lenses to implant and improve sight. Most horses are far-sighted. Uveitis (ERU) is a chronic, immune-mediated disease. Trauma to the eye – scratches, swelling, etc. – can cause ERU. A substance called an antigen causes antibodies to be released in the eye resulting in an improper auto-immune response. The horse experiences pain, glaucoma and blindness. 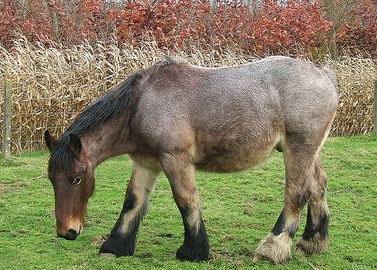 Appaloosas are the breed most prone to ERU. Fortunately, scientists have developed an optical implant containing cyclosporine, a drug that suppresses the immune response. The implant lasts for 4-5 years and reduces incidences of ERU, often to less than one yearly. A veterinary ophthalmologist is the person who makes the determination if a horse is a candidate for this procedure. Regular twice yearly eye checkups can avoid many problems or help with early diagnosis of existing ones. Although little is known about the effects of equine behavior due to eye problems, research is on-going at the North Carolina State University College of Veterinary Medicine to learn more.